Internet giant Google is reportedly to acquire Mumbai,India based company Just Dial. Report says Share of Just Dial boosted to six-month higher after the news came out. The two company had a meeting two month prior to discuss the acquisition of Just Dial. Just Dial is an Indian based company founded by V.S.S. Mani. It provides search services and is made available on Website and Mobile. The company’s headquarters is in Mumbai, Maharashtra, India. For the update Google will have access to the database of over 21 million PAN-India listing after the acquisition. According to reports Just Dial have a huge business database of around 188 crore registered with. SHARE HAVE GONE UP BY 20% HIGH AFTER THE NEWS OF ACQUISITION. Just Dial is an Indian based company founded by V.S.S. Mani. It provides search services and is made available on Website and Mobile. The company’s headquarters is in Mumbai, Maharashtra, India. For the update Google will have access to the database of over 21 million PAN-India listing after the acquisition. 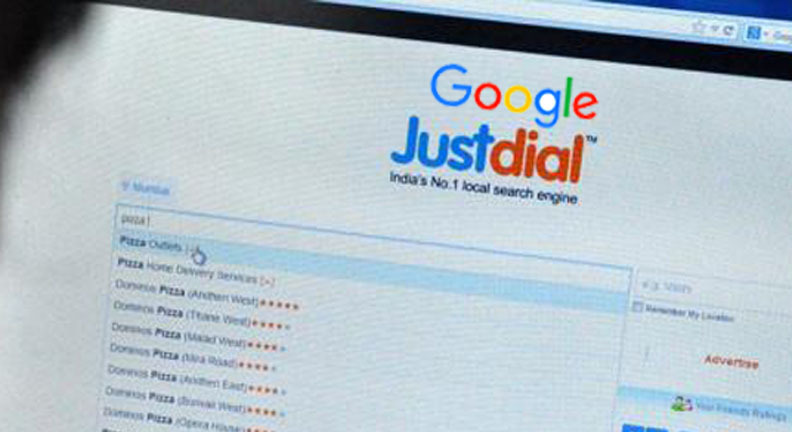 After the new of acquisition of Just Dial by Google(Owned by Alpha Inc,) shares of Just Dial Ltd.’s has reportedly to surge above 20% to 550.00 INR as on NSE, the biggest percentage gain by Just Dial Since February ’16. Just Dial Ltd is current trades at Rs 526.17, up by Rs 67.17 or 14.64% from its previous closing of Rs 459 on the BSEB. The script opened at Rs 504.90 and has reportedly touched a high and low of Rs 549.850 and Rs 504.250 respectively. all significant infos. I would like to look more posts like this . Nice pоst. I was checking ϲontinuously this blog and I’m impressed! You have touched some pleasaqnt things here.